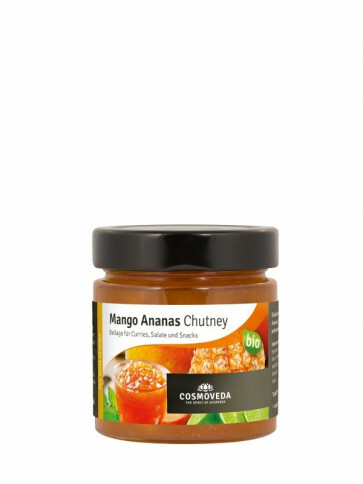 Cosmoveda Chutneys are a special delicacy made from sun-ripened fruits and selected spices. They are a delicious addition with pakoras, curries, rice and salads. They can also be used as a dip. Keep in the fridge after opening and consume within 3-4 weeks.